Google created Webmaster Tool as a way to connect your site to their server. It is the fastest way to tell Google that your site is ready for ranking, and what has your site feed. Google uses this tool to notify you (through email) about the crawling errors, or SEO errors in your site. How to add your site in Google Webmaster Tool? 2. Now add your site in webmaster by clicking the “Add a site” button. 3. Choose Alternate Methods to validate and choose HTML Tag. 4. Google will ask you to validate your site, and it will give you a code like this one. 5. Add that code in Squirrly > Settings > Google webmaster and click “Save settings”. 6. Go back to the webmaster tool site, and click “Verify site”. You should receive a confirmation message. Now that your site is connected, you can submit your sitemap.xml. Learn how to do it. You have shared Great and informative Article about webmaster tool. Thanks a lot for such kind information. Thanks Anabell! Glad you liked it! 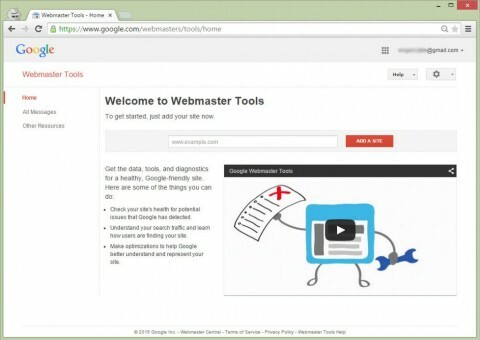 I was fighting to learn how to set up Google Webmaster in Squirrly and I haven’t find any information about it. Superb Pluging For Seo. Thank You..
it is the best tool to find your website crawling and seo errors. Also it helps to check backlinks and the ranking of your keywords. I followed these instructions exactly and I’m getting a not verified message? This may happen only if you have a cache plugin and the cache persists. Try to purge the cache and try again. I verified my site with google a while ago. How do I get the google meta verification tag now? If you verified your site, then you don’t need to add the meta verification tag. This step by step process of verifying GSC will surely help all Squirrly users. Thanks for publishing this guide.